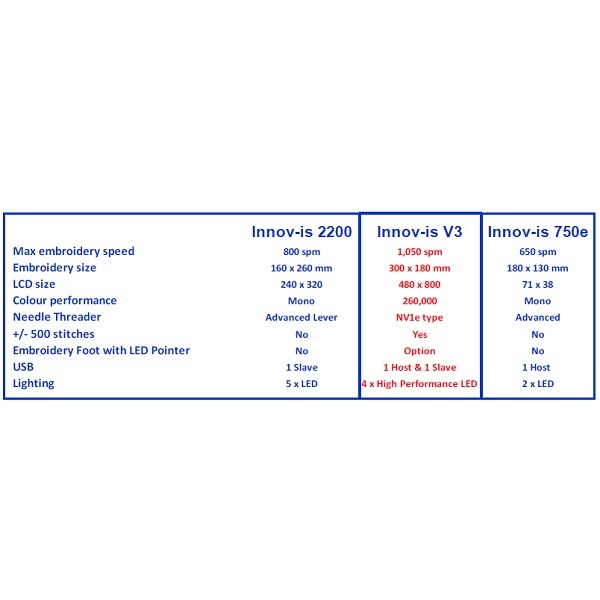 A Top Selling Model for it's performance and price is the Innovis V3. 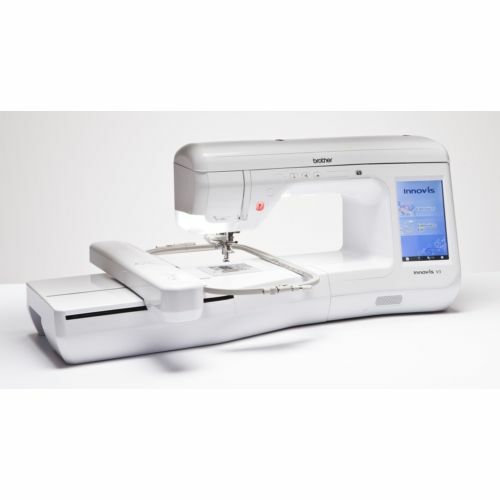 It's a dedicated embroidery machine that's big, robust, refined and beautiful. 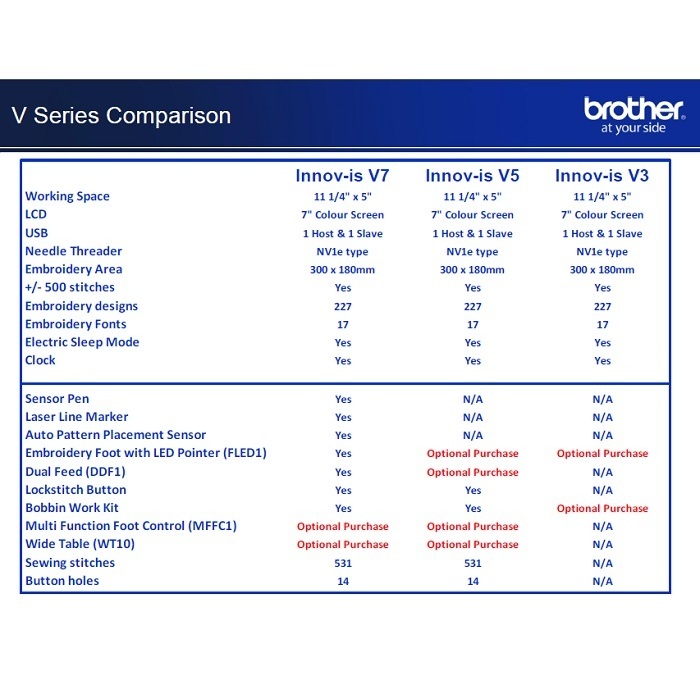 The Brother Innovis V3 high speed machine is dedicated entirely to embroidery and will delight you if you don't need a combination sewing & embroidery model. 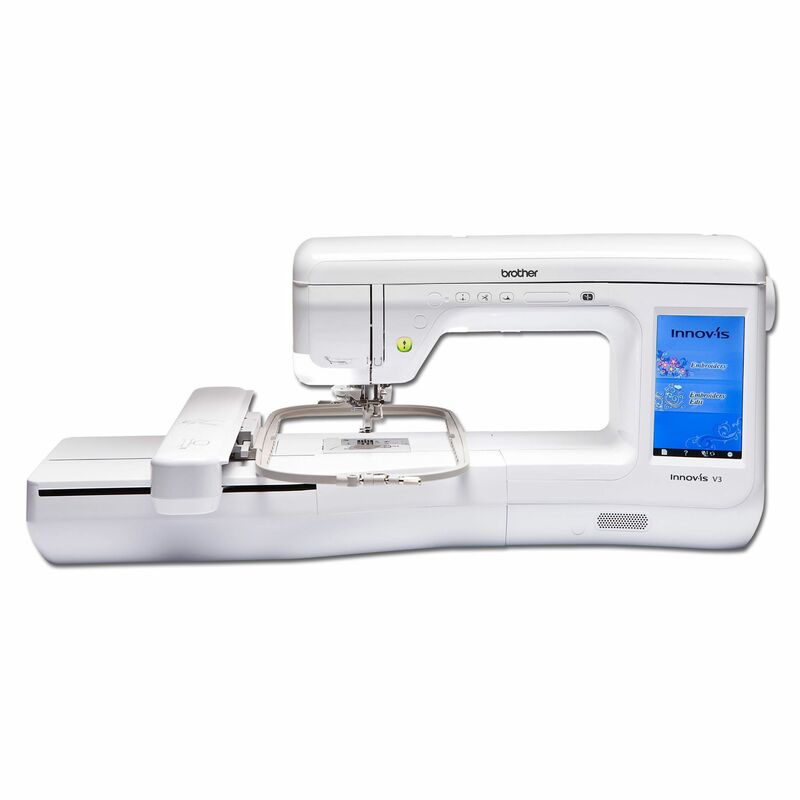 The Innov-is V3’s large 300mm x 180mm embroidery area allows you to create large, complex designs without the need to re-hoop. 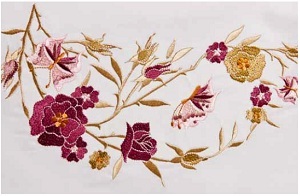 Combined with a high speed of up to 1,050 stitches per minute, you have the freedom to produce beautiful embroidery, faster than ever before. 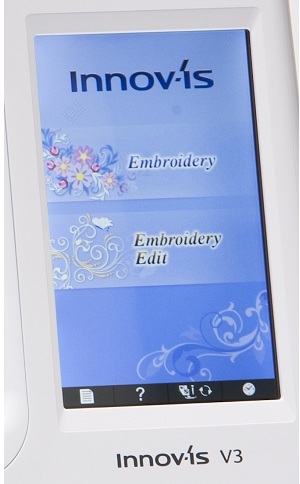 You'll love using this beautiful clear and responsive touch screen that responds quickly through the simple menus. 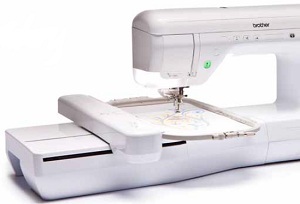 Your designs are quickly found and edited, ready for sewing in an instant. 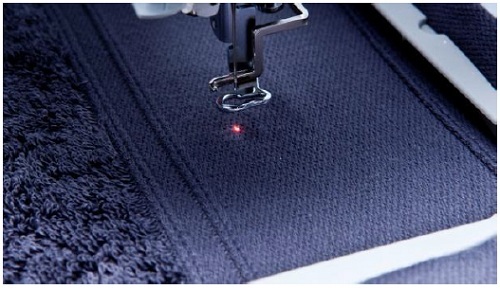 The optional LED pointer embroidery foot enables perfect needle placement for embroidery. The LED pointer shows clearly where the needle will drop, making adjustments as easy as touching a few buttons on the LCD screen. When the box arrived it JUST squeezed through the front door. The machine is much bigger than my old one, but well worth re-arranging the sewing table for. 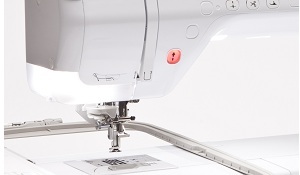 The fully automatic needle threader is brilliant, even if your eyesight is perfect. 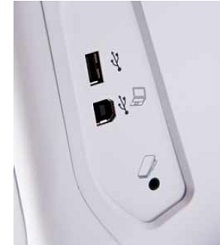 There are loads of great inbuilt designs, and the USB port makes inputting additional embroideries a doddle. I’ve just completed an in-hoop appliqué, and the finish is beautiful and totally professional. I am thoroughly delighted with my machine. Ah! the V3 Embroidery machine - a joy to own, a joy to work with and the standard of embroidery it produces is totally stunning. 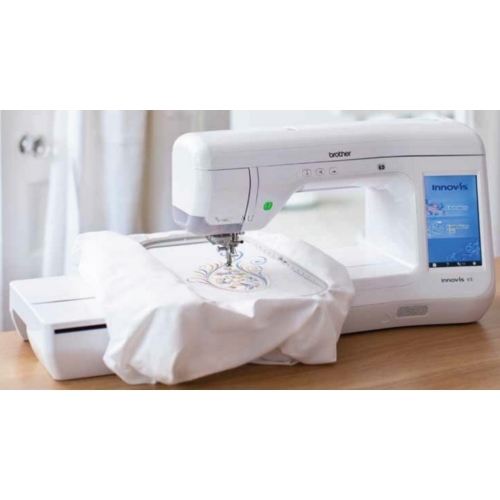 A pleasure to work with, and with the Premium Pack 1 giving additional hoop sizes, the 10 spool thread holder, LED Foot, and the border frame all to give this machine added pleasure to produce fabulous embroidery work on a range of different projects. Easy to operate, easy to hoop, good definitions given on a brilliant easy to view screen. 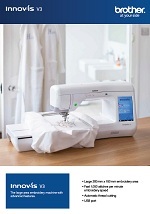 Definitely worthwhile owning as it is Brother's top range Stand-alone embroidery machine.